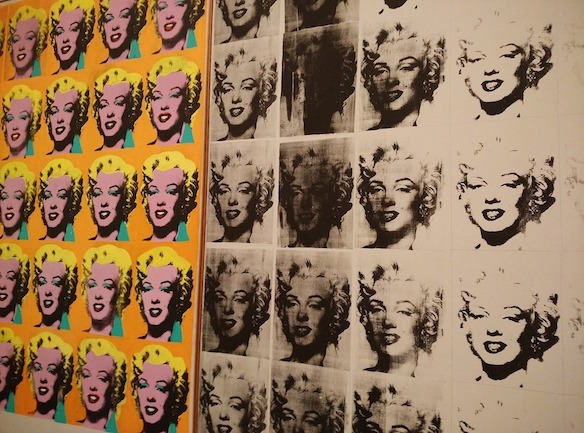 HOUSTON (CN) – Prosecutors say a first date took a turn for the worse when a court reporter ripped a Houston trial attorney’s two Andy Warhol paintings, worth $500,000 each, off the wall during a drunken fit at his mansion. Police arrested Lindy Lou Layman, 29, of Dallas, on Dec. 23 at the Houston home of Tony Buzbee, who cemented his reputation as one of Texas’ most prominent trial lawyers by winning a $100 million federal jury verdict against BP in 2009 over chemical discharges. Layman’s arrest report says she tore three original paintings off the wall and poured liquid on them and threw two sculptures across the room, causing more than $300,000 damages to the artwork. Layman was released from custody on Christmas Eve after posting a $30,000 bond, court records show. She was charged with felony criminal mischief. Her attorney, Natalie Ware with the Harris County Public Defender’s Office, did not return a phone call Thursday seeking further details about her arrest and asking if she will plead guilty at her Jan. 9 arraignment. Prosecutors said Buzbee told police he called an Uber to come get Layman at his house because she got too drunk during their first date, Houston’s CBS affiliate KHOU reported. Buzbee told police that Layman refused to leave and hid in his 11,000-square foot home, which the Harris County appraisal district values at more than $9.4 million, that reportedly has five fireplaces and limestone floors. The lawyer told police that Layman became aggressive after he called a second Uber for her and damaged his artwork, KHOU reported. Layman allegedly yelled obscenities while tearing down two Warhol paintings – each with an estimated value of $500,000 – before throwing the sculptures. The punishment for a felony criminal mischief conviction in Texas depends on the amount of damage the defendant caused. A felony criminal mischief conviction for causing more than $200,000 in damages in Texas reportedly carries a possible punishment of five to 99 years in prison and a $10,000 fine. Layman said at her probable cause hearing that she has been a court reporter for nine years, KHOU reported.